TRAPPED! CAN LOVE FREE HER? 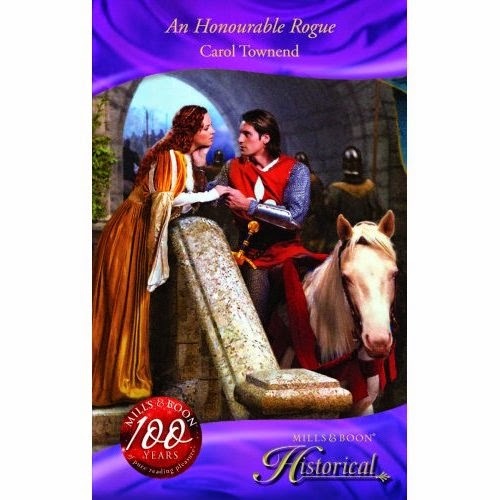 Rosamund Miller longs for the lord's handsome squire, but is forced to wed another. And now she must face the dreaded custom of droit de seigneur, the lord's right to bed a new bride in King Stephen's England. 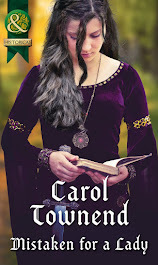 Passionate and involving, this medieval romance is set in twelfth century England during the troubled reign of King Stephen. 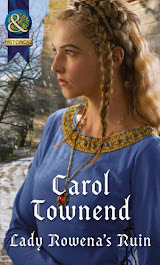 A major theme of this novel is class division in medieval England. I tried to give a real feel of how it would have been, which sometimes makes for uncomfortable reading. The droit de seigneur conceit is a familiar one and it seemed to fit the theme. Rosamund would have had little education and little understanding of life at the castle, but she has a great heart. She is a wonderful teacher. Oliver too has been moulded by his upbringing and by what life has thrown at him. He has many prejudices. Rosamund - and love - redeem him. 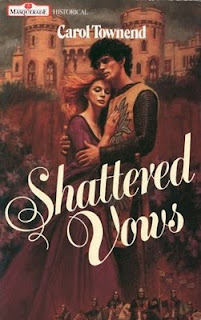 A review of the Revised Edition of Shattered Vows may be seen on Amazon.co.uk. The original cover and blurb - it was published by Mills & Boon in 1989 - are below. It was a moment out of time, for the miller's maid and the squire from the castle, as they dallied on May Day. It was unlikely they would ever meeet again. 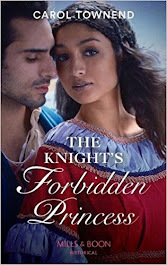 Rosamund Miller was to marry the stone-dresser, and Oliver de Warenne was hell-bent on winning his knight's spurs from his cousin, Sir Geoffrey Fitz Neal - and in the anarchy that was Stephen's reign, he had every chance. But when the miller asked Sir Geoffrey's permission for Rosamund to wed, the lord ignored the bride fine and demanded droit de seigneur. It was unheard of! No-one could remember when a lord had taken a bride's first night. 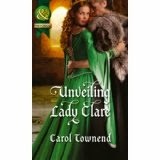 Geoffrey's mischief caught Rosamund and Oliver in a chain of events that turned their world upside down. She had tried to imagine this kiss. Some deep primitive instinct buried in the core of her had known Oliver's kiss would not be like anyone else's. Somehow she had known she would not shrink from the touch of Oliver's hands on her body. But her wildest imaginings had not prepared her for reality. She had had no experience which had ever hinted that a kiss could be like this.